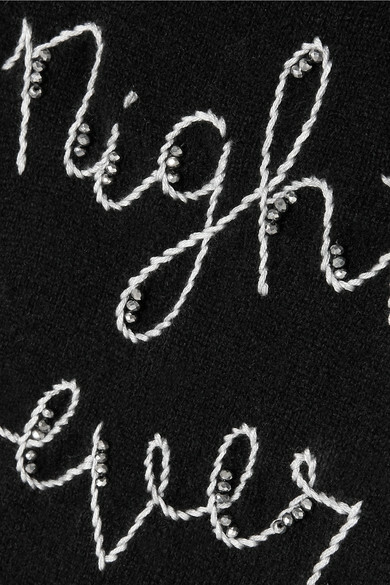 Lingua Franca's Rachelle Hruska MacPherson says her New York-based label "all started with a stitch" - she turned to embroidery as a way of soothing her anxiety, and came up with the idea of sewing hip hop lyrics onto an old sweater while on vacation with her family. 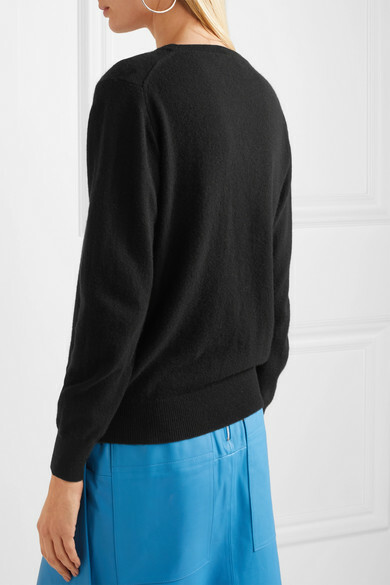 Made from sustainably-sourced cashmere, this style is hand-embroidered with the phrase 'Night Fever' and embellished with tiny faceted silver beads. Wear it with jeans or tucked into a sparkly skirt. Shown here with: Tibi Skirt, Marni Sandals, Loewe Pouch, Isabel Marant Earrings.